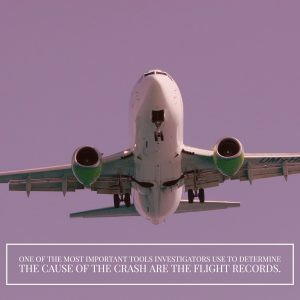 When a plane crash occurs, one of the most important tools investigators use to determine the cause of the crash are the flight records and records put together immediately following the accident. Investigators have the difficult job of looking at all of the evidence to determine exactly what caused the crash to happen. They want to give families closure, as well as identify problems that could cause future accidents. In one case out of the Cleveland area, their efforts may have been thwarted by a charter jet company accused of destroyed or altering records related to a fatal crash in 2015. If you have been injured in any kind of airline accident, or you have lost a loved one in an airline crash, speak to a airline accident lawyer as soon as possible. As reported by Cleveland.com, a former employee of a charter jet company based in Florida claims he was fired after he refused to lie about the details surrounding a fatal accident that claimed nine lives. It’s important to note that the court has not determined if the employee’s allegations are accurate. At this stage, the facts are still uncertain, however, the allegations raise serious concerns. In depositions, the employee said the company falsified repair and maintenance documents, claiming they made repairs when they actually did not. He also stated that the company recorded inaccurate weights-and-balances measurements for the plane involved in the fatal accident. The former employee is a veteran pilot with more than 20,000 flight hours under his belt. He claims the pilot who crashed the aircraft had already exceeded his allowed on-duty hours when he piloted the three-day trip scheduled to have five stops. The National Transportation Safety Board (NTSB), which investigates aircraft accidents, has stated that the plane was 600 pounds overweight at the time of the crash. The agency also said that the pilot and co-pilot had previously been fired from other flying jobs for poor performance and failure to complete required training. If you have been injured in an aviation accident, or you have lost a loved one in an airline crash, it’s important to speak to an experienced airline accident lawyer right away. Call New York City airline accident lawyer, Jonathan C. Reiter, to get a free case evaluation today. You can reach us through our online contact form, or by calling 212-736-0979.